Seborrhea or capillary grease is a problem whose origin resides inside while their detection is usually outside. Seborrhea typically is felt on the skin and the follicle, when the follicular bag is full although, there is a seborrhea type like an Apparent Seborrhea that although there is a seborrhea located outside, inside is nonexistent. Seborrhea is usually caused by overactive sebaceous glands, they secrete more grease than normal. BROMHIDROSIS, when the sebaceous glands and apocrine sweat gland, secrete in equal parts, the bulb is drowned and slowly be undone. HYPERHIDROSIS is excessive sweating of the eccrine sweat gland. 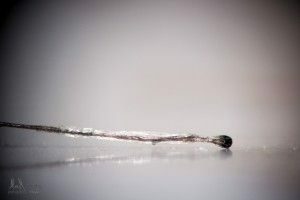 It can be very easy to confuse sweat with grease, to not make this mistake, we must consider that, if there is no excess seborrhea inside the follicle, we do have to find an excess of body sweat. 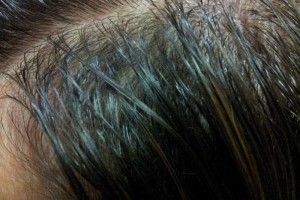 Prepare the scalp using Dermo Capillary Mask (ref. 016) previously mixed with Natural Polyplant Anti Dandruff Treatment (Ref. 017) and apply as if it were a dye, leave for 20 minutes, do this 1 time per week dirty head. Wash at least three times weekly with?Nutri Fiber Moisturizing Shampoo (Ref. 006) alternating with ATP Oxygen Equilibrium Shampoo (Ref. 005). Apply lotion Natural Polyplant Sebum Control (Ref. 018) three times a week for 90 days. Apply lotion DNA+Pollen Treatment (Ref. 013 and 025) three times a week for 90 days. Wash at least three times weekly with Sebum Regulating Shampoo (Ref. 002) alternating with Hair Nutrients Royal Jelly Shampoo (Ref. 004). Apply lotion?Natural Polyplant Sebum Control Treatment (Ref. 018) three times a week for 90 days. Wash at least three times weekly with Sebum Regulating Shampoo (Ref. 002) alternating with Prevention Hair Loss Shampoo (Ref. 001). Apply lotion Science Control Hair Loss Treatment (Ref. 021) every day during 90 days. Definition, structure, cycles and composition.